As Mercedes defended phantom moves at the front to their detriment, the Brackley-squad were left upstaged by young stars in the midfield. Qualifying was always going to be key in Monaco but down the field, some bold strategy moves and ballsy overtaking moves saw some of the stars of the future climb up through the field having started out of position. Pérez continues to put the off-colour Nico Hülkenberg in the shade this season. It has been a miserable 2015 so far for Force India as they straggle towards Austria and their delayed new chassis. But in Monaco, their lack of aero was only a minor disadvantage and their tyre preparation and Mercedes engine was far more important. After a tough first practice, Force India were in and around the lower reaches of the top 10 for the rest of the weekend. 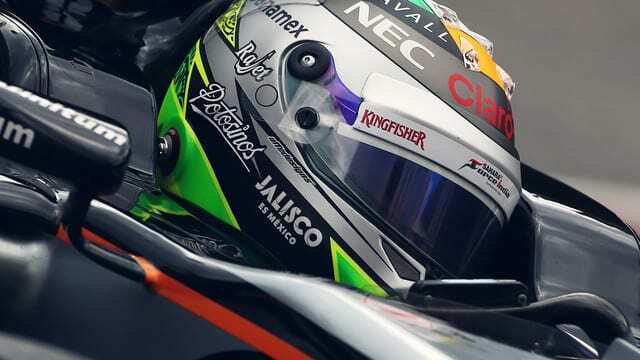 Having both comfortably sailed through Q1, a welcome change from recent races, it was in Q2 where Sergio Pérez made the defining move of his weekend. The Mexican broke into the one minute 16s, good enough for the final slot in Q3. Pérez’s lap was just two tenths faster than Hülkenberg but it was the difference between the top ten and 13th on the grid. In Q3, Checo improved his time by nearly two tenths to a 1:16.8, which vaulted him past the Toro Rossos and Pastor Maldonado to qualify a season best seventh, after reaching Q3 for the first time in 2015. Pérez drove a composed race, maintaining the gap to Kimi Räikkönen and the Red Bulls ahead and holding off the racy Jenson Button behind. He knew that if he stayed focussed and made the right strategy call, that his Saturday performance was good enough to secure points on Sunday. The team followed the conventional strategy route. With nothing to gain from trying to attack the faster cars ahead, the Mexican stopped on lap 36, defending the undercut from Button, to move onto the soft tyres for a slightly longer second stint. The former McLaren teammates both took advantage of Max Verstappen’s crash to stop for fresher, softer rubber with 14 laps to go, knowing that they definitely did have a big enough gap to Felipe Nasr behind. With new tyres, Pérez was more than capable of holding off Jenson Button for a solid seventh and double his points for the season. An honourable mention for Nico Hülkenberg, though, who recovered from bouncing off the wall at Mirabeau on lap one, running a good pace to recover to eleventh, despite his alternative strategy being ruined by a collision with Alonso that forced him to stop twice. Since a great first race of the season in trying circumstances Sauber have gone backwards, likely through their lack of funds for development. It looked as if the struggles were going to continue in Monaco as both cars were mired in Q1, with Nasr nearly four tenths off progressing to Q2. Benefitting from others’ misfortune, Nasr started 14th. By the end of lap one, Nasr had gained another two places after Hülkenberg’s bump and Massa’s puncture. After Maldonado retired, Nasr was up to 11th before he pitted on lap 18, heading off the undercut of Grosjean, Bottas, Ericsson and Sainz. Had he stopped any later, Nasr would have been vulnerable to those behind, especially if a safety car came out before his stop. 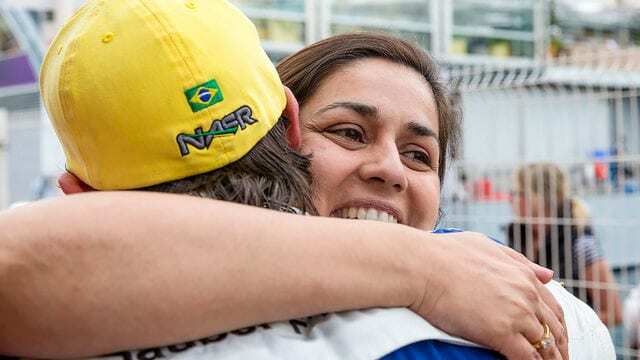 It did mean that Nasr would have to stop again to reach the end of the race, even as he continued to rise up through the field. He was up to ninth and then in the nick of time, the safety car allowed Nasr to make a second stop without pressure, knowing that Grosjean behind would almost certainly stop to check for damage after the collision with Verstappen. That left Nasr safe from attack with Carlos Sainz on very old tyres behind. It was a very mature drive from the Brazilian on his first visit to Monaco in F1, which secured Sauber’s first points since China. Kvyat justifies promotion at last! I have been rather critical of Kvyat this season. I think that Vettel’s move to Ferrari came a year too early for the Russian who really needed another season at Toro Rosso before he graduated to the senior squad. Kvyat has made errors and hasn’t had the pace to rival Ricciardo so far this year but most of all, he has had terrible luck with reliability, retiring once and not even making the start in Australia, as well as a variety of other issues. Helmut Marko’s words clearly resonated with Kvyat as he had by far his best weekend in a Red Bull, not letting the pressure of the situation get to him. Kvyat was one of four men to set a time in the one minute 16s in Q1, easily making it past the first hurdle. The Russian continued his good pace, cruising into Q3 by six tenths. Once there, the pressure was off for Kvyat. Red Bull were able to challenge Ferrari, a rarity in 2015, as their power deficit was irrelevant on the street circuit. Qualifying fifth, a tenth and a half behind his teammate was a great result for Kvyat, especially as neither were at full power for the start of their hot lap. His performance was made all the better as he jumped up to fourth at turn one when Ricciardo was occupied by trying to squeeze past former teammate Sebastian Vettel. Kvyat stopped ten laps earlier than most of the front runners, struggling on worn rubber and trying to put pressure on Vettel ahead. The strategy was good enough to hold position, unlike Ricciardo who lost out to Räikkönen after pitting too late, but traffic allowed the gap to open up to Vettel. Despite the early stop, Kvyat decided to stay out under the safety car, which left Red Bull with a tricky decision once Ricciardo, who did stop for supersofts under the safety car with nothing to lose, re-passed Kimi. 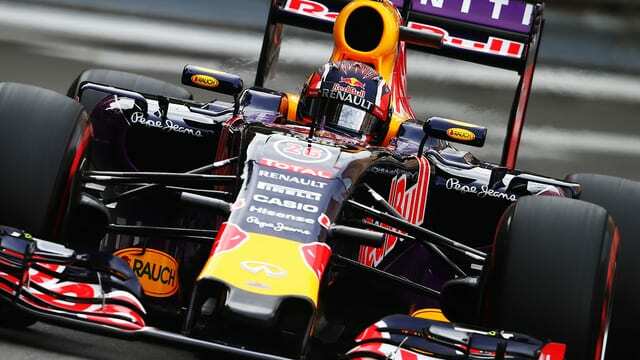 Red Bull played the team game, allowing the Aussie through to attack on fresher tyres. However, after he couldn’t make it, Kvyat was allowed back past at the chequered flag to secure a much-needed, career best fourth place.